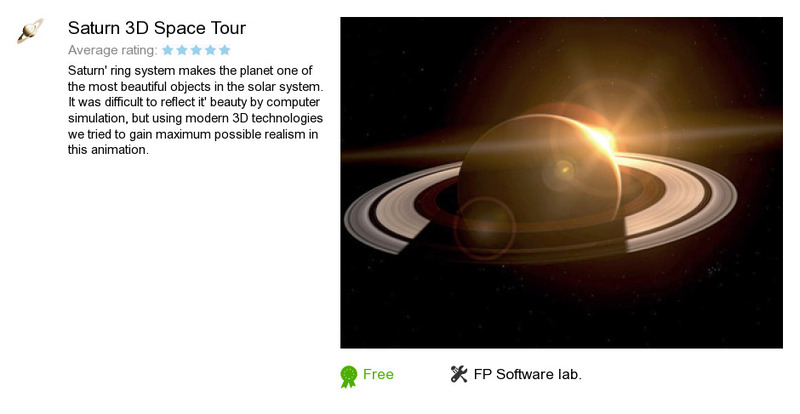 Saturn 3D Space Tour is an application developed by FP Software lab.. We know of version 1.0. Version 1.0.0.1 is available for free download at our site. Saturn 3D Space Tour package has a size of 1,416,668 bytes. FP Software lab. also publishes Earth 3D Space Tour and Moon 3D Space Tour.